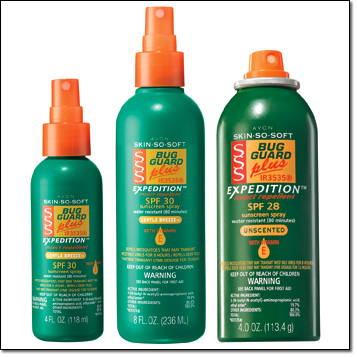 Bugs have definitely met their match with the all-in-one protection from sun & bugs with Avon’s Bug Guard PLUS IR3535 Expedition. For those great romps in the pool or lake or just running through the sprinkler BUG GUARD PLUS IR3535 is water-resistant plus SPF 30. 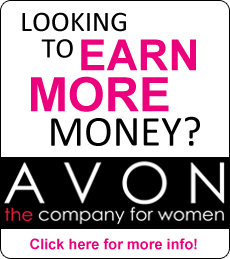 It also protects against mosquitoes that may carry the ZIKA VIRUS. 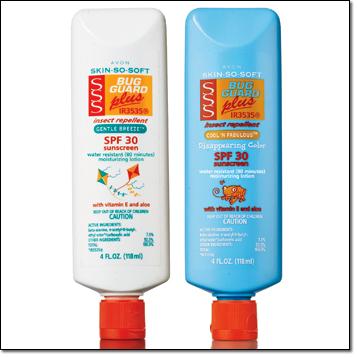 Plus these are deet-free, water-resistant-SPF 30, nongreasy, hypoallergenic, Vitamin E and Aloe, and protects against mosquitoes, deer ticks, gnats, no-seeums, black flies, sand flies and biting midges. Check out all these great Bug Guard products now!